As many of you may know, my schedule throughout the past few weeks has been crazy! Thankfully, my schedule is slowly returning to normal and with this, it means more time to devote to my passion, which is the blog. Thank you to everyone who continues to read, comment and/or support my vision. To celebrate the return to a more normal schedule, I felt it would be a wonderful opportunity to host another...*drumrolls*... GIVEAWAY! 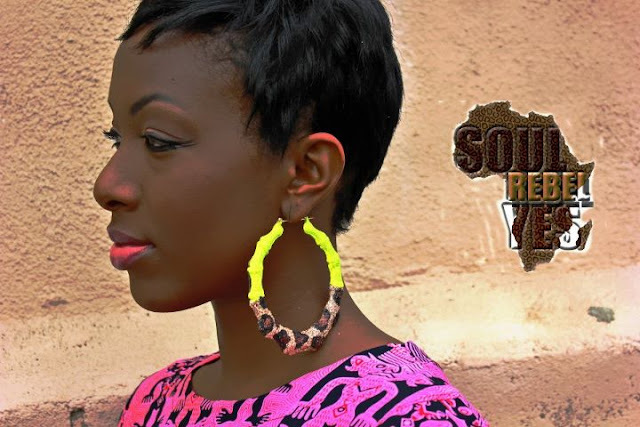 I am very excited about the opportunity to work with Soul Rebel Yes, which is an accessory line that labels itself as a "eclectic, funky, one of a kind & limited edition earring shop." I first discovered their line through Etsy and once I viewed the entire collection, I had fallen in love. Their pieces are truly unique and will have you as the center of attention. The owner, Charlee, and myself are excited to present these earrings for one of you lucky readers to win! Giveaway is open April 8 until midnight, April 16. Thank you for continuing to read my blog! God bless! I'd like to try these! These are some fly earrings! Enter me please!! These earring are so awesome! Im so into earring just like these! You have no idea! I might be late for the giveaway, but these r hot anyway!